Necklaces made for the Dazzle exhibition, “Follow the Thread”. Exhibition at the Dovecot Studios Edinburgh, 2013. 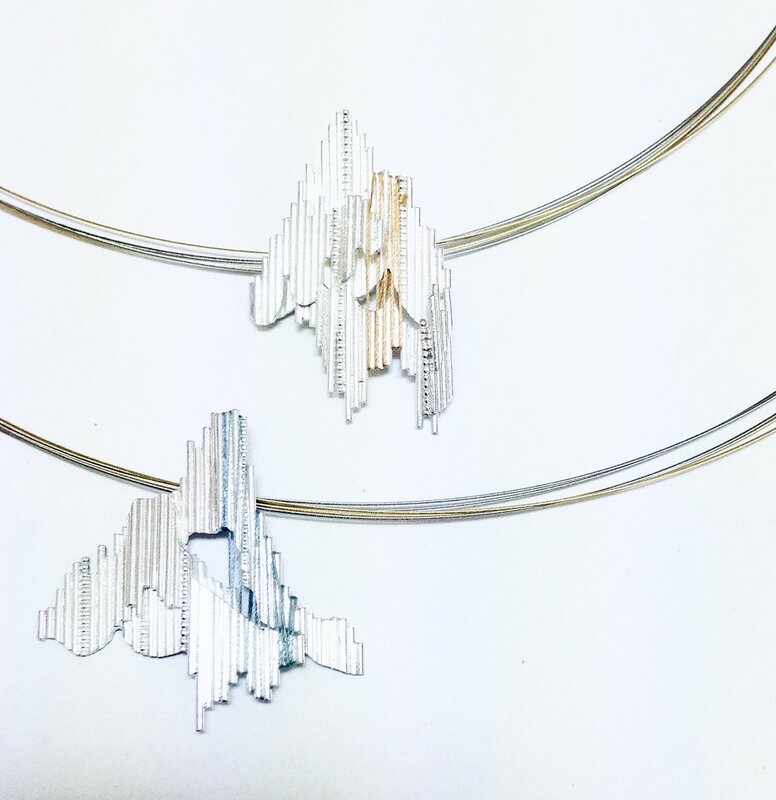 Two Silver necklaces, with silk threads, steel neck wire with 18ct Gold Plating. The design depicts a fragmented landscape, with threads weaving through the linear structure to highlight the depth of form.